If you own an investment property you need to keep an eye on our page every Wednesday. We are talking to Stephanie Mills from our Property Management Section about common questions they are often asked by Investors. Watch the latest Housing Market Update for Brisbane, QLD. The housing and economic data is derived from the CoreLogic Hedonic Home Value Index for the month of November, released December 2016. “Capital city dwelling values edged a further 0.2% higher in November, according to the CoreLogic home value index. 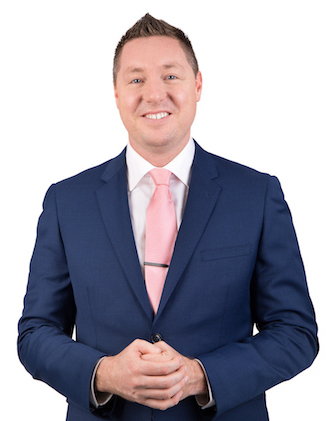 Why using professional photos for selling your home is important with Zac McHardy. Over the years real estate agents have found out many different ways to sell homes at lightning fast speeds and for top dollar. From having you do repairs and cleaning, to repainting, having a decorated garden and keeping away pets during showings, but all of this would not matter if home buyers and investors cannot see exactly what you are selling. That is where professional photography comes into play, marketing your home so buyers can see all the right areas they need is very important. http://zacmchardy.com.au/wp-content/uploads/2016/06/Zac-Mchardy-White1-300x100.png 0 0 Zac McHardy http://zacmchardy.com.au/wp-content/uploads/2016/06/Zac-Mchardy-White1-300x100.png Zac McHardy2016-11-03 19:42:032017-03-10 05:10:23Why using professional photos for selling your home is important with Zac McHardy. So it’s time for you to buy your first home and take that big leap into home ownership. But what is one of the first steps you need to do after you have been trawling the net for that perfect home? It’s smart to keep a level head and be realistic which I know is hard for your first purchase. I have been in the same boat and even for me it was hard. Most first home buyers will need to borrow to buy so before you go much further you need to know how much you can borrow and if you can borrow at all. As I have mentioned before its best to speak with a broke like Neil who can help you through all of the options for you. You can quickly jump online to any of the banks and see what you can borrow but it’s about the pre-approval process that matters. Online calculators might tell you can borrow $600,000 but once pre-approval is put through you will find that might not be the case. ▪ Monthly expenses and other outgoings such as loans, credit cards and store cards. If everything works and you fit what the banks will approve then you can start to make offers on homes. List your home exclusively with Raine & Horne between now and 14 November 2016 and go into the running to win one of four $10,000 vouchers.